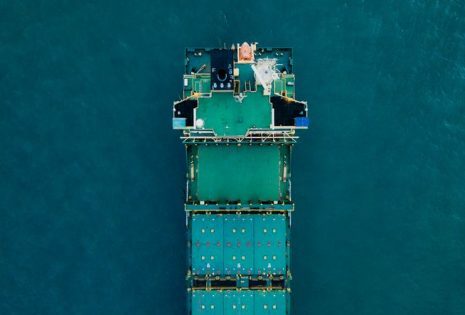 Shipping containers are used to transport items of all values across the world – whether that’s just a few cheap t shirts or a bulk shipment of expensive electronic equipment. It is this possibility of finding something valuable that makes containers so appetising for thieves. 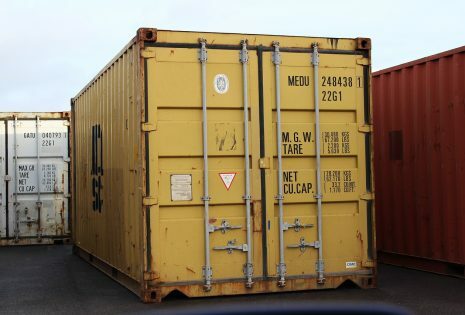 While containers are capable of withstanding extreme weather, frequent usage and can even be bulletproof in some cases, container owners may feel the urge to further secure their container with additional security measures. 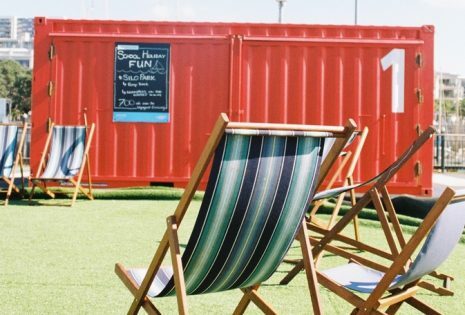 If you have set up a business in your container, you may want to provide yourself with that added peace of mind by ensuring that nothing can be stolen from your big metal box once the day is over. Luckily, there are a number of ways that you can secure your storage container – all of which we will be covering in this article. 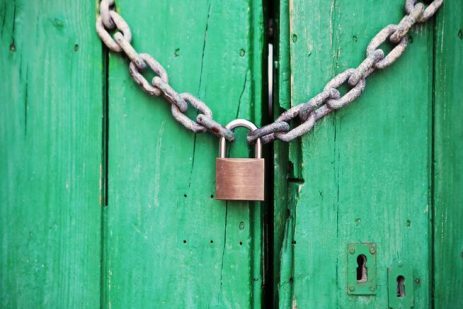 The first place to start in securing your container is to invest in a heavy duty padlock. Also known as shutter padlocks, they are made out of hardened steel and have thick shackles – making them much harder to saw through than your standard everyday padlock. Simply align the straight shackle with the loop of your container door, and slide it shut to secure. It’s as simple as that! However, when heavy duty padlocks are used alone they are easily accessible and can be cut through if the thief has the right specialist equipment. This is why many people choose to further secure their padlocks by using a lock box. Lock boxes are often used alongside heavy duty padlocks, and provide your container with a heightened level of security. This is the most popular way in which people secure their containers, and it’s not hard to see why. A lock box is a steel box that keeps your padlock out of sight, and prevents any thieves from even attempting to tamper with your locks. Some containers, including any bought or rented from Unit Hire, come with lock boxes already installed. Even if your container doesn’t have one, it is very easy to get one installed. The lock is only accessible from the underside of the lock box, which makes it very hard for the lock to be accessed using bolt cutters. By using a heavy duty padlock and a lock box in combination, you can ensure that any thieves will have a very hard time trying to break into your newly impenetrable 20 foot fortress. Steel bolts can be used to secure a container from the inside, keeping the door firmly shut. By turning the key, the bolts are lifted and the door can be opened. The unique benefit of this particular locking system is that it it all takes place on the inside of the container – meaning that the only way a thief could access the bolts would be to get inside the container itself, which of course would probably be near impossible by this point. While crossbar locks are often used to secure the doors of houses and sheds, these types of locks that are also available in variants specifically designed for container doors. These locks are easily installable, and their purpose is to prevent the doors of a container from being prised open. Each side of the crossbar locks onto the vertical bars found on the front of a container door, and the bar is then secured with a key. Using a crossbar lock means that even if a thief is able to cut through a padlock, they will still be unable to open the container doors. If you really want to go the extra mile in securing your container, it is not uncommon for people to install alarm systems. Alarm systems use motion sensors to detect if an intruder has entered the container, which then triggers the alarm. When the alarm is triggered, a loud high pitched noise will be played to draw attention to the scene and deter the thief. While some alarm systems may require a mains power connection to use, some of the more modern systems are battery powered, which is perfect for situations where your container is not connected to a power source. These modern systems are also able to immediately notify the owner by text message if someone has attempted to break in to their container. Pretty cool, right? Unsurprisingly, these systems are expensive. 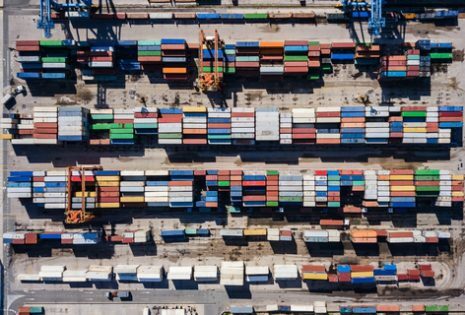 Therefore, it’s worth considering whether this added security measure is really needed for your particular container based situation. If you are on a tight budget, perhaps the slightly cheaper heavy duty padlock and lock box combination would suffice. So, there you have it. Five different ways in which you can secure your container and deter potential thieves. If you have any more questions about container security, or are interested in investing in a container, then get in touch with us today.